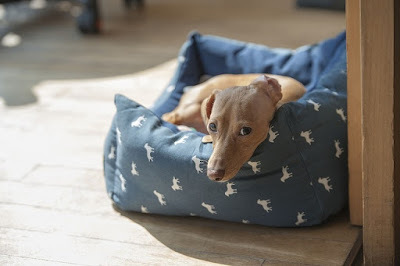 Enter the dog bed. Dog beds are hard to keep clean and not easy to wash. The oils from the animals fur build up on the surface and attract dirt and odors and they just get funky. After a few years of use, I had taken to laying a clean towel across the dog bed weekly and then washing it afterwards. It helps to cut down the dog smell, especially if she managed to get wet, but it doesn't get rid of it completely. Once I started using this powder on her bed weekly, it no longer smells! Next up was my sons room. If you've ever had a teenage boy you have a pretty good idea of how stinky a bedroom can get! I swear the stench permeates everything. It's sort of a sweaty gym socks meets old pizza smell and it's hard to get rid of. Even after I cleaned his room I would walk in an hour later and the smell was already coming back. I started using this powder on his carpet and on his bed and the room actually smells clean now! What is this magic solution that works so well to remove odors and is chemical free? 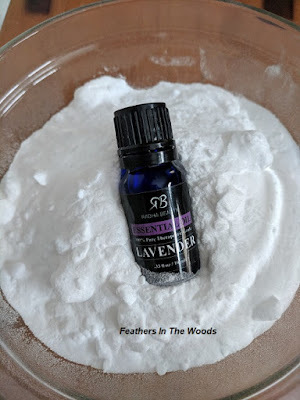 Baking soda and lavender essential oil! It's really that simple! Plus the beauty of this odor removing powder is you can use almost any essential oil you have on hand. Admittedly, lavender, tea tree and lemon seem to work the best. Stir with a fork or whisk to break up the oil droplet lumps. The oil will initially stick to the baking soda and cornstarch in clumps and if you don't mix this up you'll shake out plain powder with oil lumps. Definitely not as effective! You'll need the oils to be evenly distributed to be most effective. Put the mixture into a shaker jar or mason jar with a shaker cap attached. An old parmesan cheese lid works if you have one. Sprinkle liberally on carpet or dog bed. Let sit for about 20 minutes. Don't rub it into the surface, just let it set. Vacuum the powder up. It can also be used on mattresses between sheet changes. Just allow to set for 20 minutes then vacuum away before remaking the bed. 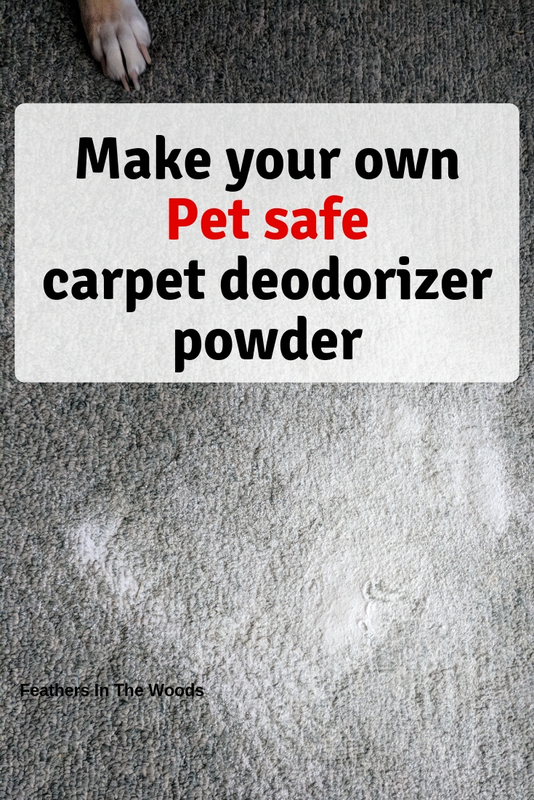 It works because the baking soda and cornstarch absorbs the smelly skin oils and fur residue while the essential oils lay down a fresh scent over top of the deodorized area. I use this powder about once a month and you can't even smell the dog or the teenager anymore! Isn't it crazy how many food products can be used to clean? Here's my hack for cleaning up spilled paint or nail polish with sugar! Hopefully you'll never need it, but watch the video just in case...it's really cool how it works! Want more posts on cleaning without harsh chemicals? Click here for my other posts on green cleaning!